Victor Tingler has a proven track record partnering with client organizations to deliver effective innovative solutions that transform their business. InterVision Systems today announced that Victor Tingler has joined the company as Vice President of Digital Transformation Solutions. Victor leads a team of Innovation Consultants, technical architects, and business analysts that help clients adapt to today’s dynamic digital market, focusing on the solutions that drive better business outcomes. 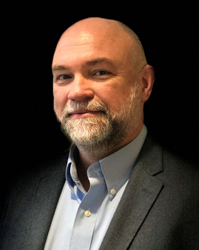 Victor has over thirty years of technical and sales management experience, including VP of Cloud Transformation Services at Trace3, VP of Cloud Hosting Solutions at LightStream, Director of Channel Engineering Enablement at CenturyLink, and Global Master Architect Leader at EDS.